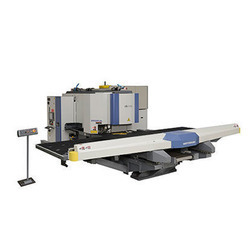 We have marked a distinct position in the market by offering a precisely engineered range of Sheet Metal Components Machine. Offering precision engineered range sheet metal machinery. We are the Dealers of and all kinds of sheet metal machineries and Heavy electrical equipments we can supply them at any corner of the world. - Specific Modification of any Existing Machinery or Upgradtion of certain parts to Automation Level. - Upgradation of any existing machinery and line. 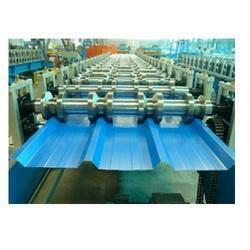 - Slitting Line Spacers / Cutters / Rolls / Arbours / any other specific spares. We are also engaged in supply / sales of Second hand Spare parts of Various Machinery. We maintain a large stock of used Second Hand Spares of Various machinery & types. We would like to advice you that we have recently added in our stock, various new unused major spares & used second hand spares for Engines. This is a part from our normal stock of various main engines. A simple, efficient and accurate mechanical system by means of a torsion bar ensures the parallelism between beams is used for the synchroism. A complex, efficient and accurate mechanical-hydraulic slide valve is use for the system, with a good synchro-accuracy and protection against one-side loading. We present best quality mechanical shearing machines which are very reliable and are manufactured using structural analysis technique thus helps us in producing reliable, accurate and scratch-free machines. The alignment is done properly and made sure it performs for long life. we use four edge blade made from HCHC materials. Please see PDF for more information.